Bernie Sanders campaign manager Jeff Weaver said his team was "disappointed" by the emails from the Democratic National Committee leaked through WikiLeaks, which seemed to reveal staff in the party working to support Hillary Clinton. "Someone does have to be held accountable," Weaver said during an interview with ABC News. "We spent 48 hours of public attention worrying about who in the [Donald] Trump campaign was going to be held responsible for the fact that some lines of Mrs. Obama's speech were taken by Mrs. Trump. Someone in the DNC needs to be held at least as accountable as the Trump campaign." Weaver said the emails showed misconduct at the highest level of the staff within the party and that he believed there would be more emails leaked, which would "reinforce" that the party had "its fingers on the scale." "Everybody is disappointed that much of what we felt was happening at the DNC was in fact happening, that you had in this case a clear example of the DNC taking sides and looking to place negative information into the political process. "We have an electoral process. The DNC, by its charter, is required to be neutral among the candidates. Clearly it was not," Weaver said, responding for the first time to the growing controversy. "We had obviously pointed that out in a number of instances prior to this, and these emails just bear that out." Another member of Sanders' staff, Rania Batrice put it this way: "Everything our fans have been saying -- and they were beaten down for and called conspiracy theorists -- and now it's in black and white." The email dump comes at a crucial time, just days before the party's national convention in Philadelphia, with thousands of delegates representing both campaigns gathering from across the country. Weaver and several other members of the Sanders staff have said they are worried the news could disrupt the goals of the convention. "We are trying to build unity for the fall to beat Donald Trump and Debbie Wasserman Schultz is a figure of disunity in the party, not a figure of unity," Weaver added. Weaver and the DNC chairwoman have tangled often during this campaign cycle. Asked specifically whether she should resign, Weaver responded, "She should consider what her options are." Weaver said that he was surprised that no one with the party had reached out to him, "given the conduct that was disclosed" in the emails. Several of the emails showed that DNC staff called Weaver names including "a liar." Several members of Sanders staff have expressed specific outrage over the emails, which seemed to suggest attacking the senator's religion. 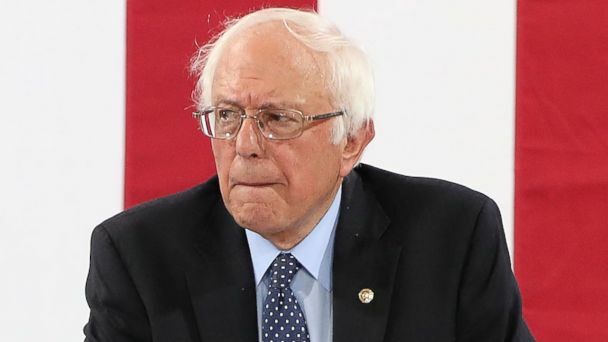 Sanders' former Iowa State Director Robert Becker told ABC News that it showed "a total lack of decency." The Democratic National Committee has not commented on the issue. Several of the emails released indicate that the officials, including Wasserman Schultz, grew increasingly agitated with Sanders and his campaign as the primary season advanced, in one instance even floating bringing up Sanders' religion to try and minimize his support.